Maze of the moon in the dark of night with stars all around. Created to go right next to the maze of the letter N for the kids book, "Learn To A Maze" Which uses mazes to teach kids the alphabet, basic reading, and how to count. 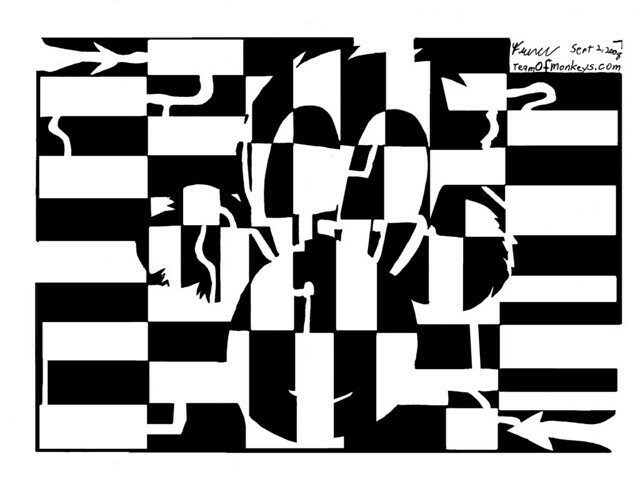 Maze ends in the lower left corner and begins in the upper left corner. 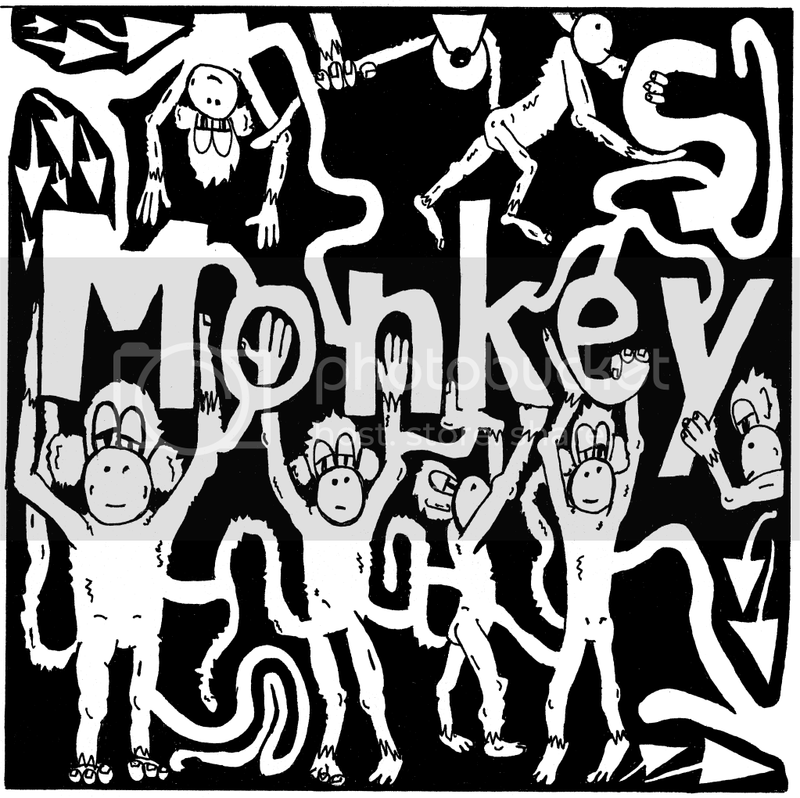 Maze Kong 3-D - by Yonatan Frimer - Maze of monkeys with linear prespective on life.